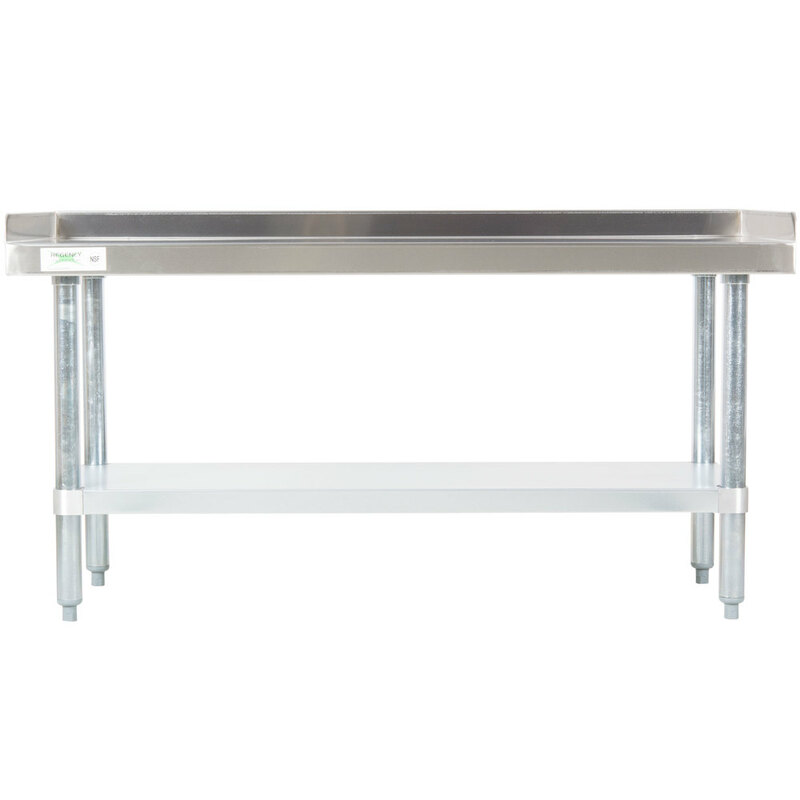 This Regency 24" x 48" stainless steel equipment stand is built to stand up to daily use in even the busiest commercial kitchen. Great for holding countertop equipment, this stand provides additional space in your kitchen to maintain a clean and organized environment. 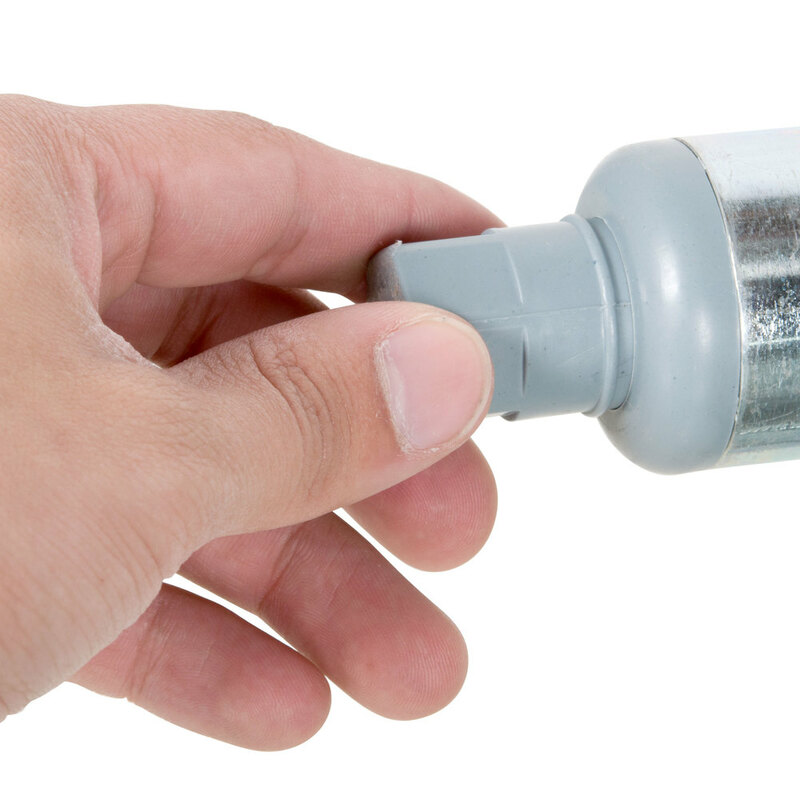 Featuring a durable 16 gauge stainless steel top that can support up to 800 lb. of evenly distributed weight, it's the perfect solution to increasing work space. 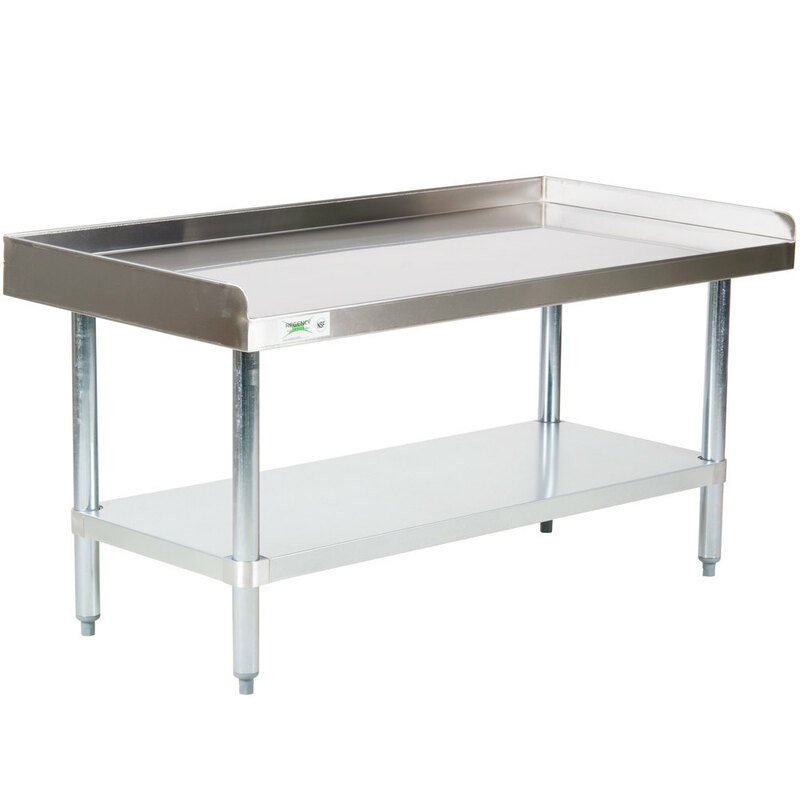 Plus, the galvanized steel undershelf with hat channel provides additional storage for supplies and can hold 620 lb. 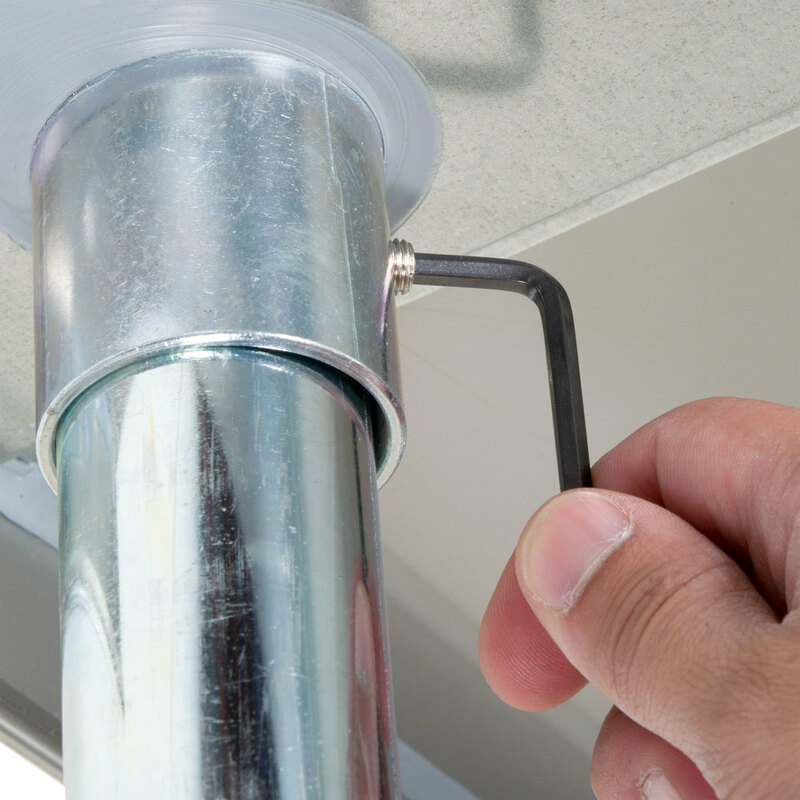 A 2" high edging comes standard to help contain equipment and contents for added safety. 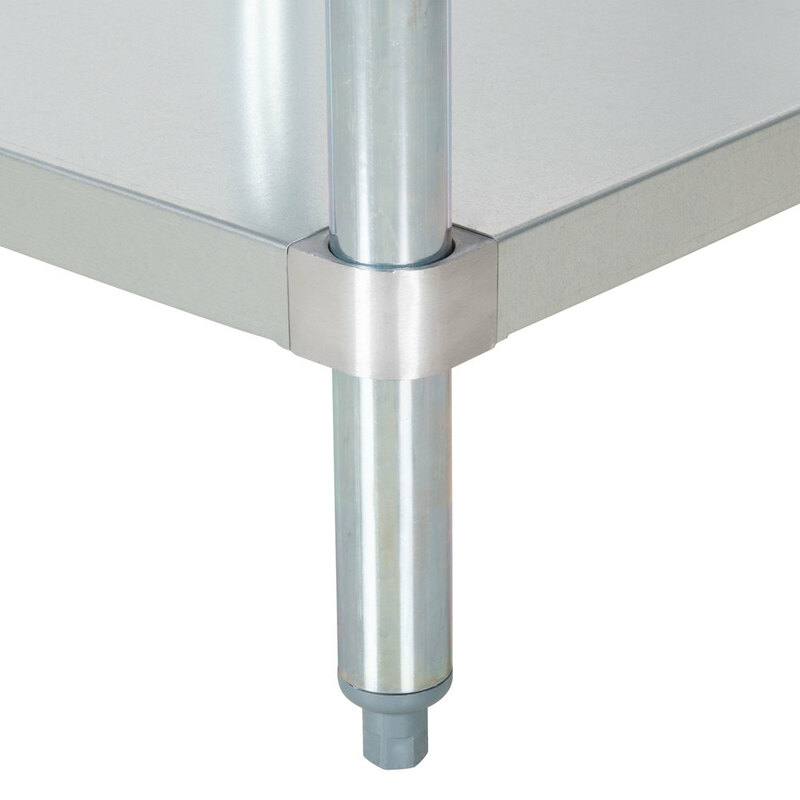 For added stability, this unit stands on sturdy galvanized steel legs with bullet feet.